I’m pleased to have an article I wrote on efforts to transition ex-racehorses into new careers published in the May issue of Baltimore magazine. In conducting research into the Thoroughbred industry, I met many wonderful people involved in each aspect of these horses’ lives from breeders, trainers, rescuers, show horse owners, and horse racing officials. I was impressed with the dedication each one had towards putting measures in place in order to ensure the aftercare and safety of these animals. My hope is that the work started in Maryland to safeguard the ex-racer will grow and succeed to the point that rescues are no longer necessary. 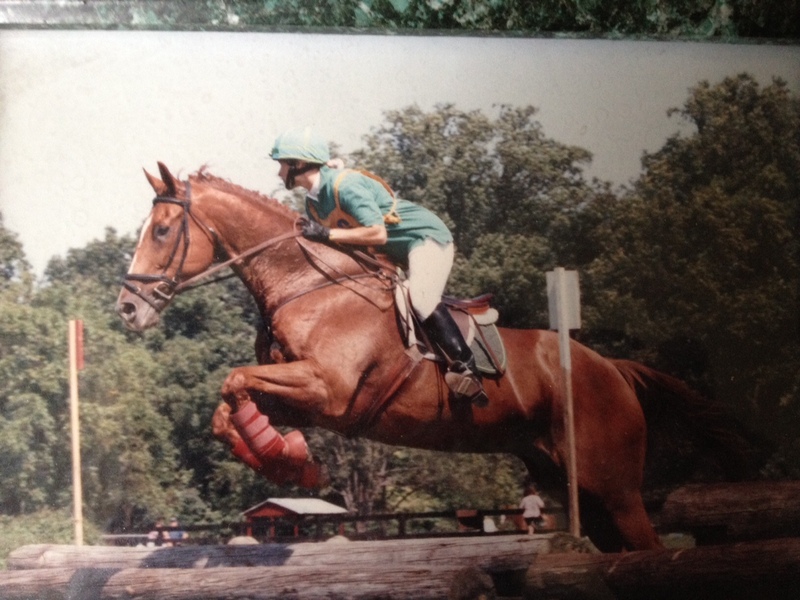 I’m posting a very old picture of my own beloved off the track Thoroughbred (OTTB) with whom I shared over eighteen wonderful years showing in hunter classes, eventing, and dressage. This 17.2 hand Thoroughbred would take on anything you asked of him and love it.